Reporting its Q2 2018 results, Gannett pulled out ahead in digital revenues. with an overall increase of 8% to $260.9 million, roughly 36% of the company’s total revenue. This number takes into account all the company’s digital assets, including marketing revenue from its 2016 acquisition of digital marketing and advertising service ReachLocal, which was integrated across the USA Today network in February of 2017. 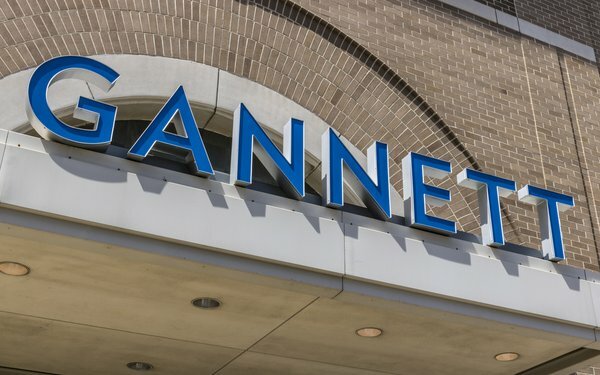 Gannett, which has focused heavily on its digital future over the past few years, showed the results of that work in its report. Total digital advertising and marketing revenue increased by 8.5% to $107.9 million, compared to the prior year's quarter. And, compared on a same-store basis, revenue increased by 6.4%, which was consistent with trends seen in Q1 of 2018. Among digital revenue streams, numbers were mixed. Digital marketing services revenues rose by 72% or $20 million on a same-store basis. This gain was credited to an increase in clients and higher average revenue per client. On the digital media side, revenues increased by 4.9% or $68.5 million on a same-store basis, reflecting growth in national revenues. Digital classified revenues proved weak across all categories with a decrease of 21.6% at $19.3 million. However, Print didn’t perform as well. Overall publishing operating revenues were $644.6 million, down from $692.2 million in second quarter 2017, while print advertising revenue plummeted by 19.1% from the first quarter. Circulation revenue fell by 5% from the same quarter last year, with increases seen by the company’s full-access subscriber pricing initiatives offset by single copy revenue declines. However, following a trend seen across many news outlets, digital-only subscribers now total approximately 413,000, a surge of 46% in volume year-over-year. "The strong margin improvement at our ReachLocal segment and the continued focus on driving efficiencies within our publishing and corporate operations reflect strong execution on our objectives," Ali Engel, senior vice president-CFO, stated. Robert J. Dickey, president-CEO, added: "On July 2, we successfully closed the WordStream acquisition, which adds more software-as-a-service solutions to our digital marketing services product portfolio and will further propel our digital transformation already well underway." Dickey credits the digital leaps taken by the company to the growth in marketing services and the strength of the company’s nationwide media businesses.